This new and expanded edition of one of the most influential self-help books of the twentieth century makes Florence Scovel Shinn's principles relevant to twenty-first-century audiences. Included now are study questions, meditations, and action items that will ensure that this will become the essential edition of this classic text. Shinn begins with the following statement: 'Most people consider life a battle. It's not a battle. . . . It's a game. And like most games, it can't be played successfully without understanding the rules.' 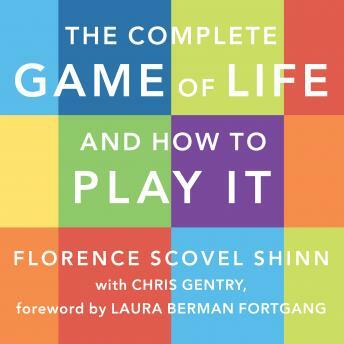 In a clear and accessible manner, Shinn then sets forth and explores the six key rules for the game of life, providing to listeners the user's manual for making informed decisions and fully embracing a life of success and happiness. This is a great application for training to becoming a stronger person and a more productive, loving and knowledgeable of others. I have learned a great deal about life and the meaning of what God’s will is for humankind.